Hi, I certify that the Hungarian service has been waiting for parts for months, but there is only a promise, nothing else. Customers will not get the parts, only if they are paid, is this Warranty? However, moderators are right, they can not say that "after-sales" is behaving this way. I am also very disappointed, I do not really know who to blame. But one thing is certain that this Chuwi forum will help us a lot, all of us. So if someone complains to you, do not take it amiss. This is not a complaint to the administrators of the Chuwi forum, but that is an aid cry. When there is not a man to whom to turn to .. 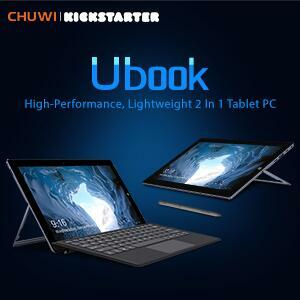 When I bought my first Chuwi tablet, the Chuwi forum was a great help. Really. But when it broke down, you had to turn to after sales. Then, similar problems began. Unfortunately. What about United States? Do you have a service station in U.S.? i receive my surbook las week with a big problem of flickering. i try since this day toi solve the issue, but i don¨t can. is there anybody have a solution ti fix it. he recibido el Surbook la semana pasada pero tengo un problema de flickering, la pantalla no para de parpadear. He intentado solucionar el problema actualizando los drivers, pero no consigo que esto funcione. 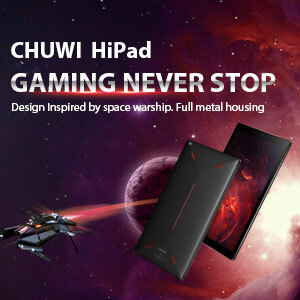 I bought a Chuwi Hi 10 Pro last year. After 8 months it died. I contacted Chuwi and they told me to send the tablet for repair to the Hungarian workshop. I sent it, from Bulgaria, immediately in the beginning of September. They received it, and confirmed that they have received it, few days later. Nothing since then. Attila from the Hungarian workshop claims he is waiting for replacement parts. It has been more that two months. No only Chuwi lied that they will repair it, but they also made me spend yet more money on the shipping cost. To me, this sound like a fraud. The stole my tablet and made me pay for it. Good job Chuwi, good job. "sorry, we do not repair chiwi more. Apart from misspelling "Chuwi" as "chiwi" the message is clear: The "German Repair Center" does not exist any more, and I don't know if it ever existed for sure! "... the past half a year was catastrophic, neither component supply nor the attitude of Chuwi was acceptable. Now that all their repairing bases have come to an end in Europe, they have promised to cooperate more seriously with me in the future. ..."
So maybe the "Hungarian Repair Center" is now the only one existing Chuwi service station in Europe. And the manager of this center has horrific complaints for the "attitude of Chuwi". "... If you need to replace the motherboard, then in the event that we are dependent on the Chuwi to after sales. Unfortunately, this is worse because I do not usually get any parts...."
"... The terms of the warranty are on the Chuwi forum page. It says that the Chuwi pay the repair costs, but the cost of shipping back and forth, the customer will pay ...."
So the customers HAVE TO PAY IN ORDER TO SEND THEIR TABLETS TO BE REPAIRED WITHIN THE CHUWI WARRANTY ? Why are they obliged to pay even a cent more for a product they have paid in the first place AND IT SHOULD WORK FLAWLESSLY ? This deserves an OFFICIAL EXPLANATION ! We hear from the mouth of Chuwi's Official Partners that Chuwi Customer after sales service is a mere JOKE ! So are we subjected to FRAUD ! Why don't they say that clearly "THERE IS NO AFTER SALES WARRANTY OR SERVICE FOR CHUWI PRODUCTS !" or "YOU CAN BUY CHUWI PRODUCTS AT YOUR OWN RISK !" So that future customers will know what to expect and be protected against this cheat. Has anyone sent in a faulty device and got it back repaired? If the problem is the Windows start, I advise you to download Windows 10 from the microsoft page and place it on a pendrive. Once you have it you must start with the pendrive by pressing F7 intermittently, immediately after pressing the start button. There will be a boot menu and in the selection of USB as the boot medium. In the Windows menu that will follow you choose "repair Windows" and the boot system will be repaired automatically. THANKS, can this operation be achieved with the Chuwi windows ten instalL at this URL? as i have already downloaded it, if not does it require a purchase to download from microsoft? also will restoring a windows boot wreck the android boot? 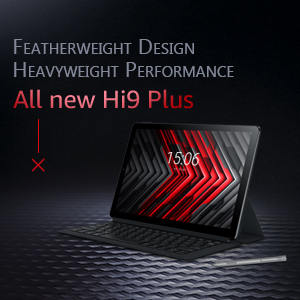 also how do i press F7 as my tablet cannot connect to a Chuwi keyboard, can i use a usb keyboard? 4-25-2019 22:45 GMT-8 , Processed in 1.770061 second(s), 30 queries .